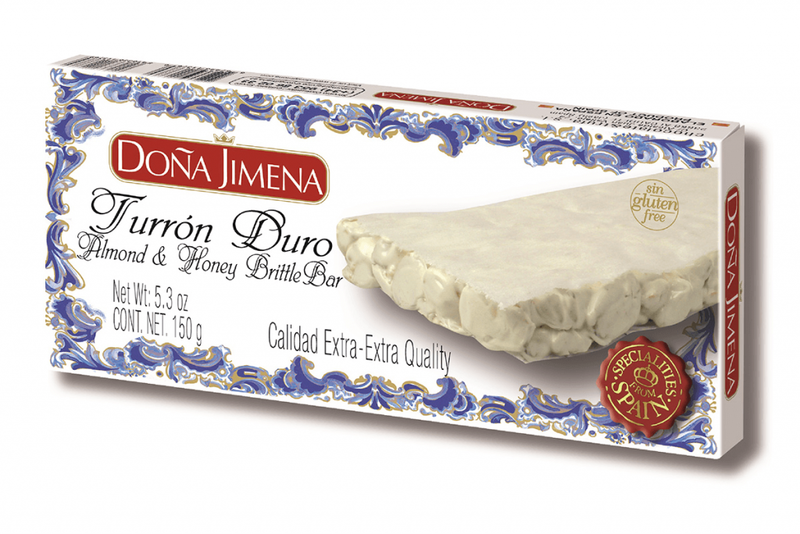 Turron is an Iconic Spanish sweet delicacy, a kind of almond nougat. 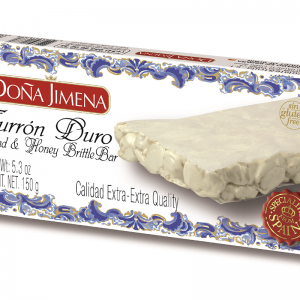 Originally brought to Spain by the Arabs, turron has been enjoyed for generations by old and young alike. 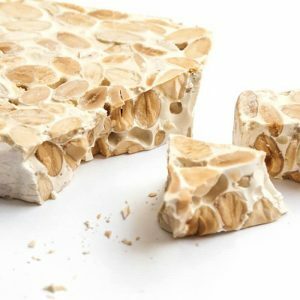 It is made using a mixture of almonds and honey formed into a crunchy bar. 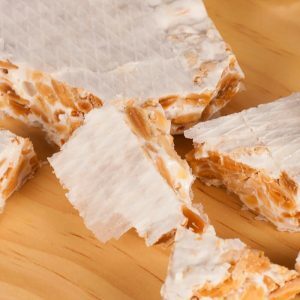 Delicious eaten as a treat or with a coffee! 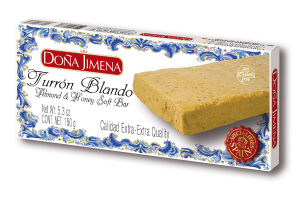 ALLERGENS: Contains almonds (nuts) and egg. 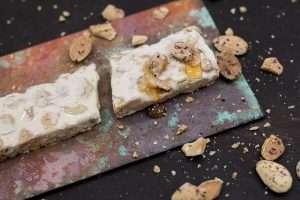 NUTRITIONAL INFORMATION per 100g: Energy 2271kJ / 544kcal, fat 33 g of which saturates 2.3g, carbohydrates 46g of which sugars 38g, protein 15g, salt 0.05g.